Place to know about all IT System, RAM Memory information, Computer hardware parts Technical Specifications guide and buying tips. The RAM is a short form of Random Access Memory and is also called computer memory. It is available physically in the form of chips mounted on the small PCBs which are also call SIMMs and DIMMs. The RAM or Memory is an important part of a computer system and plays the role of a buffering during the data flow and data strage. In earlier days when the computer system was newly invented (as PC-XT, PC-AT-286 .. etc. ), the RAM was available in the form of small chips / ICs (8 pins, 16 pins) and was called D-RAM i.e Dynamic Random Access Memory. But afterwards it started coming in the form of SIMMs and then DIMMs. If you are accembling computer system yourself or upgrading the RAM of computer system or Laptop, you need to buy the RAM in both the cases. So it is important that you must know the important points about RAM which will help you in buying the RAM. Before buying RAM or memory one should first of all think about its type and clock. This depends upon the type of motherboard you have selected. If you are upgrading your RAM then it is important that you should buy the same type and clock of RAM which you already have in your existing montherboard. It is also very important to check the availablity of Memory slots freely available in your existing motherboard to aviod the access purchase of memory. And if you are buying the RAM for assembling the new PC, then also it is important to buy the RAM according to your motherboard and see which type of RAM it supports. After matching the RAM type and clock, then come the turn of its Brand. 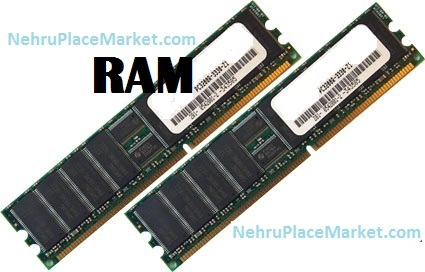 There are many brands of RAM are available in the market these days but one should buy that RAM which provides you higher warranty and is cost effective. When we talk about cost effective, it means one should consider the cost of same type/ clock RAM of all available brands and then compare the cost and warranty of all brands before finalizing the brand for purchase. There are few other important things one should keep in mind before selecting a suitable RAM. These are mainly the type of RAM, clock or Speed of RAM and Brand of RAM. Selecting the type and clock of RAM mainly depends upon the type of motherboard in which the RAM is to fitted, because there are diffrent tpye of slots, pins, styles of RAM for each type of RAM. So one should be careful about these aspects before finalizing the RAM..
RAM is used to buffer the data when it travels from one source to another destination and vice-versa. To make it understand more easily, Data travels in bits from one place to another the RAM resides in between the source and the destination. The data comes our of the source and enters into the RAM and then from RAM it is written/ stored in the destination thus increasing the speed of read-write operation of data. The reverse process also works in the similar fashion. Thats why the more the RAM better is the speed of data read-write operation. Depending upon the architecture of RAM, it has different types as it has evolved over the few years of computer generation history. These are D-RAM, SD RAM, DDR, DDR2 and DDR3 mainly. 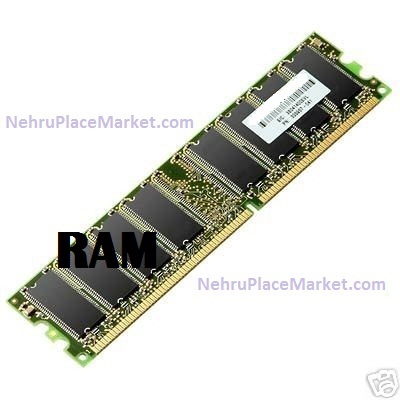 The latest RAM which is currently used is DDR-3 RAM whereas other type of RAM have become obsolete, but still used in the existing old computers and laptops. As far as the physical structure of RAM is concerned, the chips/ ICs are soldered on a small size PCB (Printed Circuit Board). These are manufactured with the help of automatic soldering plants. These PCBs can be single as well as double-sided depending upon the number of chips. So the physical structure of the ram is farely simple.